I have really enjoyed getting to know Elizabeth and Johnny Enlow. They are a powerful team and we got to see them minister together earlier this year at our annual conference, where we also interviewed them on location for this Elijah Streams TV episode. Believe me, you don't want to miss out on what this dynamic duo shares in this interview together! 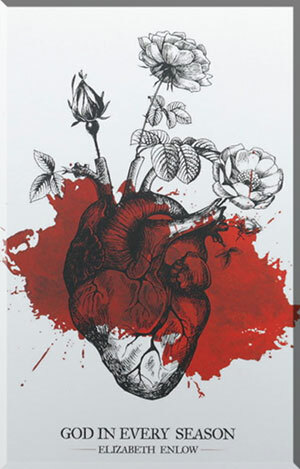 They really know how to get to the "heart of the matter" in our souls and emotions. You'll be taken into a phenomenal message of understanding what season in life you're currently in and how to navigate through no matter what challenges you are going through. By the way… no matter what you're going through God is NOT surprised or mad at you, but on the contrary He wants to heal you! After watching this very heart-felt interview, I encourage you to grab hold of this "all seasons" product package… so that you can fully learn how to experience God in every season! Well now’s your chance TO FIND OUT! This is a one-of-a-kind offer which you won’t find just anywhere! 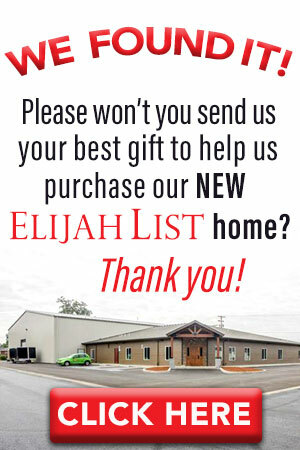 It’s an exclusive offer JUST FOR YOU, our Elijah Streams VIEWER. Call 866-967-3665 to order this All SEASONS package from Elizabeth and Johnny Enlow called: How to Experience God in Every Season! 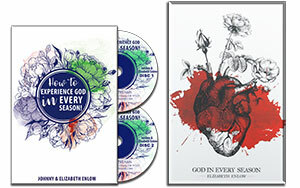 2 full DVDs by Johnny and Elizabeth Enlow, AND Elizabeth’s popular book called “GOD IN EVERY SEASON”. How God, Himself, escorts you through the changing seasons, and speaks intimately to your soul. What season you're currently in and how to navigate through it with no regrets! How to not get “stuck” but continuously move forward—even beyond your unpredictable challenges! You'll find out... What it means for YOU to “live intentionally” and WHAT YOU CAN EXPECT IN “BLESSINGS” WHEN YOU DO! If you want to continually grow, while deeply “experiencing God in every season” of life, and move “full steam ahead” through the good and the bad, no matter what challenges come your way—you won’t want to miss out on this exclusive offer from Johnny and Elizabeth Enlow called: How to Experience God in Every Season!